WASHINGTON - U.S. Secretary of State Mike Pompeo on Tuesday praised a wave of “disruption” in world politics, citing Donald Trump and Brexit but also pointing to elections in France and Malaysia. 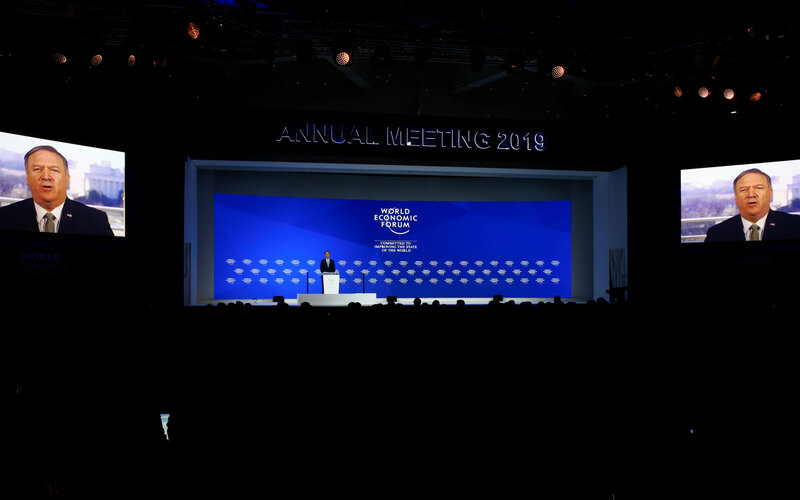 Addressing the world’s business elite in the Swiss ski resort of Davos, Pompeo renewed Trump’s criticism of international institutions and the U.S. president’s calls for “strong borders” to protect national sovereignty. “New winds are blowing across the world,” Pompeo told the World Economic Forum, speaking by video after the his trip was scuttled by the ongoing U.S. government shutdown. 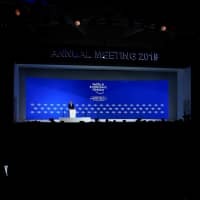 He cited Trump’s 2016 election and Britain’s referendum four months to leave the European Union — both of which stunned elites — as well as more recent election triumphs by Italy’s anti-establishment Five Star Movement and Brazil’s far-right president, Jair Bolsonaro, who addressed Davos earlier on Tuesday. More surprisingly, Pompeo pointed to the 2017 election in France of President Emmanuel Macron — a political centrist who broke out of the party system but who recently has been beleaguered by protests from the Yellow Vest movement, which says he is out of touch with ordinary people’s economic anxieties. Pompeo also listed as an example of the world’s new directions last year’s electoral comeback of Malaysian Prime Minister Mahathir Mohamad after corruption allegations against his predecessor. The 93-year-old Mahathir is known for his firebrand remarks on the West and recently cited Trump’s proposals to build a wall on the Mexican border in defending a ban on athletes from Israel. Pompeo, responding to a question in Davos, acknowledged that Trump’s criticism of international institutions has ruffled feathers, although he denied that the United States has become more isolated. “It is the case that sometimes leadership and asking hard questions drives others to be a little concerned. Perhaps they’re not quite ready to stare these problems in the face,” Pompeo said.